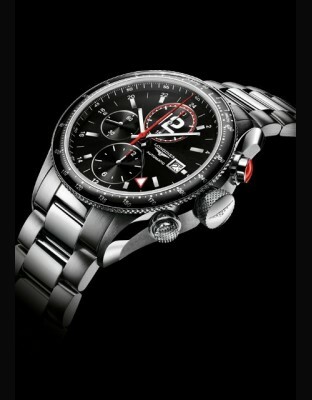 Certainly the look the sportier of the whole collection "Longines Column-Wheel Chronograph " for this model. 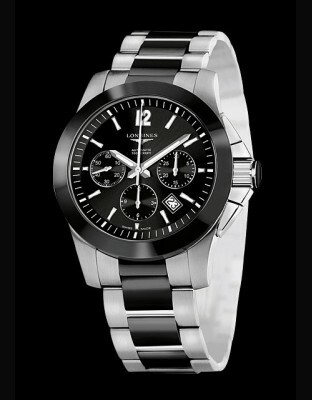 The 41 mm case provides a real presence on the wrist and marriage steel / black ceramic gives his strength to this very modern chronograph. 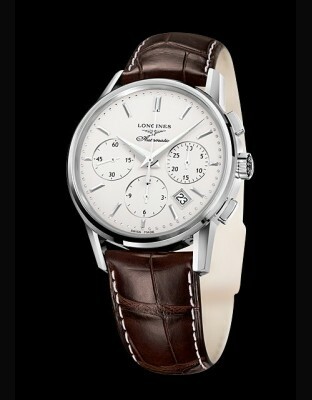 As its name suggests, the watch belonging to "The Longines Column-WheelChronograph Sports"is the most muscular of the line. Place in sport at all levels, technical or aesthetic. 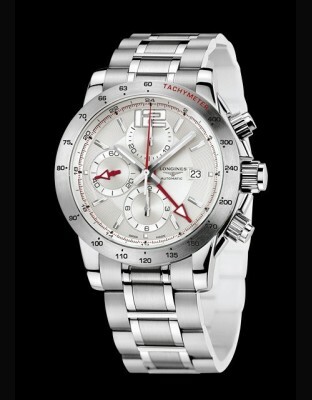 A chronograph of temperament, robust and efficient. 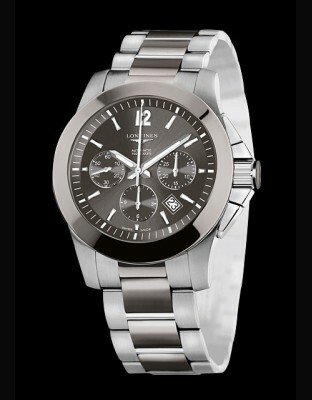 100% sporty look with this model "all steel". 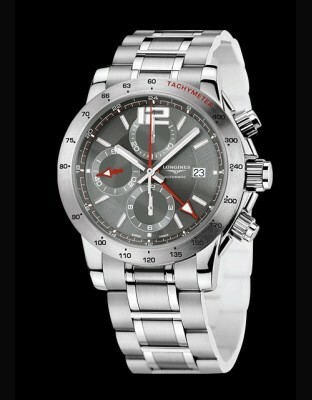 Simplicity, robustness, clarity of reading and, indoors, an automatic chronograph movement with column wheel. 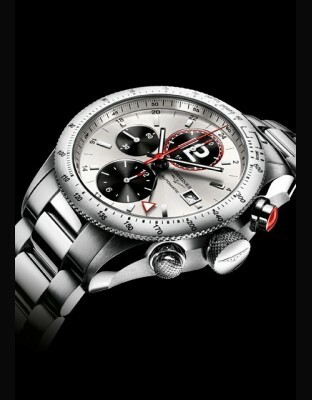 Aninteresting watch available at a truly affordable price. 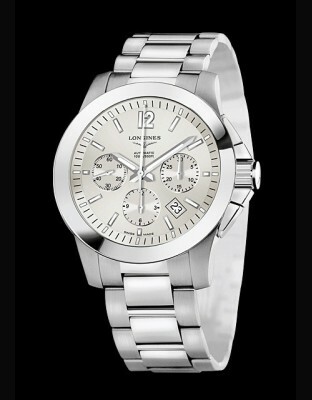 A very beautiful watch! 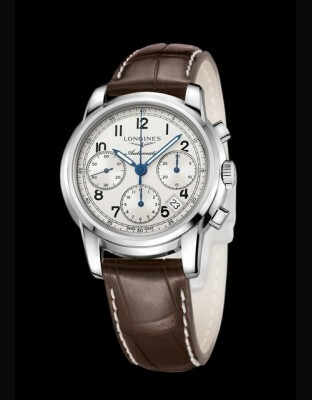 This is the most classic version, aesthetically speaking, of this new collection "The Column-Wheel Chronograph Longines". 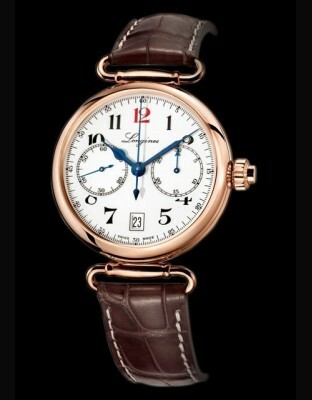 Inside beats a very sophisticated chronograph movement, equipped with a column wheel. 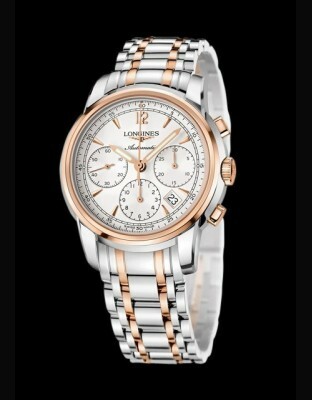 At affordable price, in the tradition Longines. 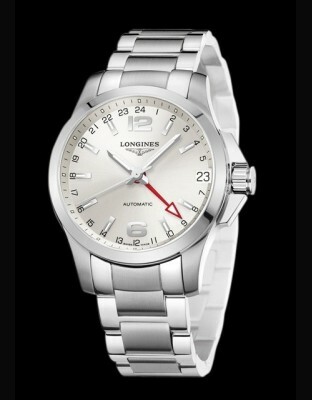 Longines has been based at St Imier, Switzerland, since 1832. Its watchmaking expertise, built up over 175 years, reflects a strong devotion to tradition, elegance and the sporting world: it has generations of experience as the official timekeeper at world championships and as a partner of international sports federations. 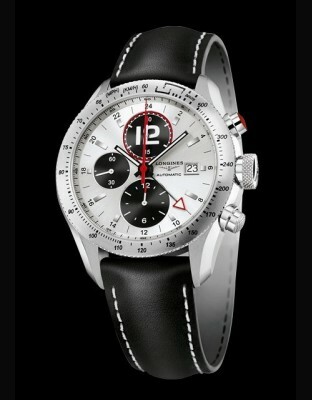 Longines is a member of The Swatch Group S.A., the world's leading manufacturer of watches and associated products. 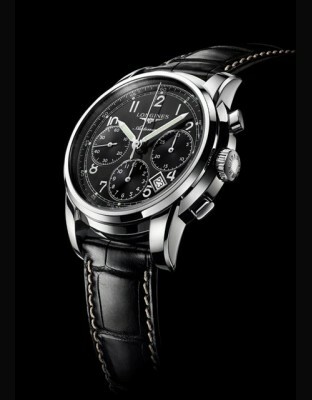 With an excellent reputation for creating refined timepieces, the brand, whose emblem is the winged hourglass, is now established in more than 130 countries. In 1832, Auguste Agassiz entered the world of watchmaking by establishing a partnership with a watchmaking counter in Saint-Imier. Before long, he quickly took control of the enterprise and renamed it "Agassiz & compagnie". 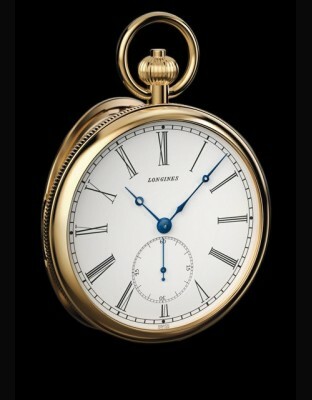 At the time, the company assembled watches according to the "établissage" method, with people working at home, and developed trade links that enabled the company to sell its timepieces around the world, particularly in North America. 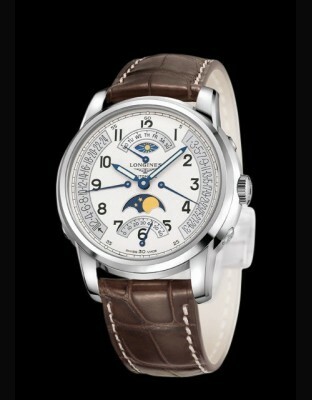 In the 1850s, Ernest Francillon, a nephew of Agassiz, took over the management of the reputed company and looked for ways to improve the traditional manufacturing methods used in local watchmaking. His idea was to group the different operations involved in the finalisation of timepieces together in one factory, where he would use mechanical production methods to assemble and finish complete watches. To bring this project to fruition, he purchased two adjoining plots of land on the right bank of the river Suze in the Saint-Imier valley in 1866. This area of land was called "Les Longines." To help him develop the machines he needed to perfect the watchmaking processes, Ernest Francillon employed a young relative, an engineer named Jacques David. In the 1870s, the industrial approach that Francillon had chosen proved highly successful and the factory continued to grow until the first third of the 20th century. By 1911, the Longines factory employed more than 1,100 people and its watches were being distributed around the world. 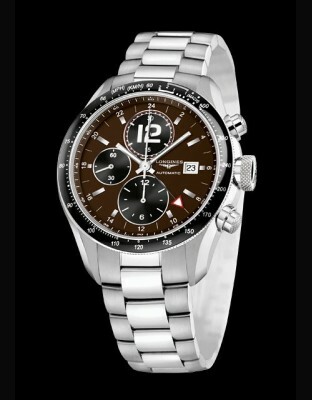 Longines contributes its timing expertise in these disciplines at many top-level international events. It is the official timekeeper for major international equestrian competitions, as well as for the famous race at Royal Ascot in England. 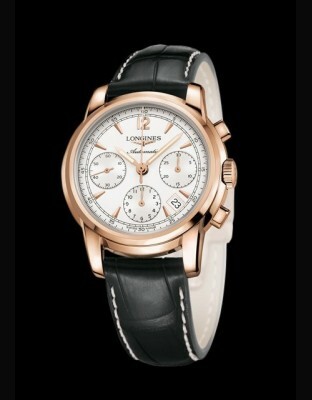 Longines also times the World Rhythmic Gymnastics Championships and the World Artistic Gymnastics Championships, two competitions that particularly express the brand's unyielding passion for elegance. The company is also the official timekeeper for the French Tennis Championships at Roland Garros, one of the world's four Grand Slam tournaments. 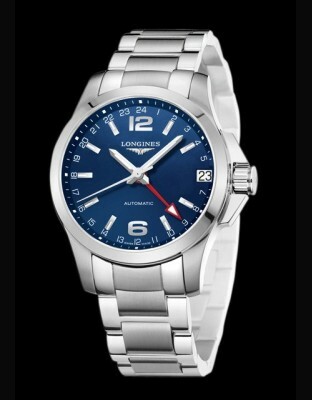 Longines is also present on the "White Circus", timing numerous Alpine ski events in various places including Levi (Finland), Aspen and Beaver Creek (USA), Val Gardena, Bormio, Cortina d'Ampezzo, Tarvisio and Sestrière (Italy), Adelboden and Wengen (Switzerland), Maribor and Kranjska Gora (Slovenia), Garmisch Partenkirchen and Ofterschwang (Germany), Bansko (Bulgaria) and Kvitfjell (Norway), as well as the finals of the World Cup in Are (Sweden) and the World Championships in Val d'Isère (France). 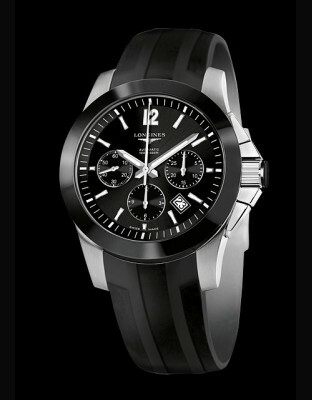 To embody its values of tradition, elegance and performance, Longines has appointed several Ambassadors of Elegance. These are celebrities whose personalities correspond to the brand's image, such as the famous tennis couple Andre Agassi and Stefanie Graf, the Indian actress Aishwarya Rai Bachchan, the Chinese star Aaron Kwok Fu Shing, the Russian actor Oleg Menshikov and the Lithuanian actress Ingeborga Dapkunaite. Other Longines Ambassadors of Elegance include the models Denise Keller and Chi Ling Lin, and the German actor Peter Lohmeyer. 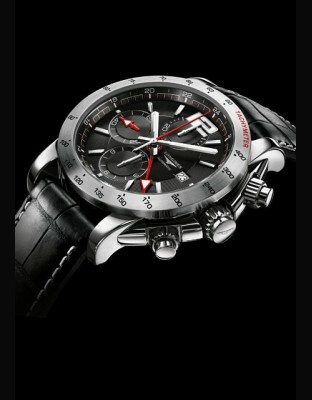 The watchmaking brand has also entrusted its reputation to sportsmen and -women who actively personify its most cherished values in competition. The Norwegian skier Aksel Lund Svindal, the Swiss riders Jane Richard and Markus Fuchs, the gymnast Shawn Johnson, and the Chinese men's gymnastic team are all Longines Ambassadors of Elegance. Despite these strong links with sport, the company does not confine itself to timing competitive events. Since 1919, it has been the official supplier to the FAI, the World Air Sports Federation, and has provided the aeronautical world with the timing equipment required to verify several world records. Among them was the historic human and technical achievement of the American pilot, Charles Lindbergh, who, in 1927, made the first non-stop solo crossing of the North Atlantic in his vessel named "Spirit of St Louis". 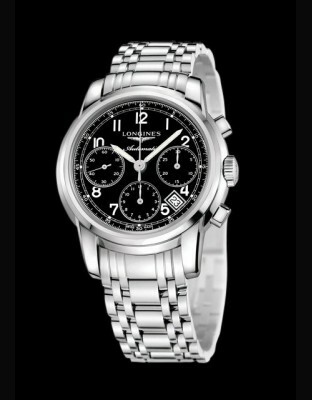 Longines instruments have thus accompanied many explorers on journeys around the planet and have supported the pioneers of the sky. 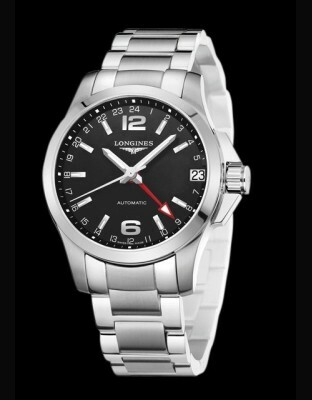 Today, Longines creates timepieces that are adapted to the constraints of modern times without sacrificing its core values. 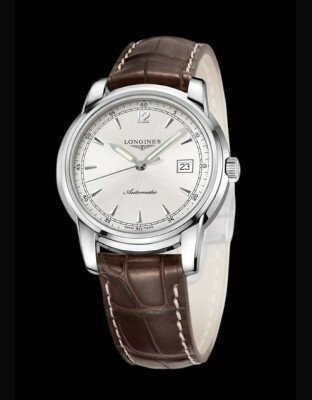 The watchmaking tradition of the winged-hourglass brand is exemplified by models in the Longines Master Collection, the Longines Evidenza, Longines Spirit, or the Heritage Collection (Flagship Heritage, Longines Clous de Paris, Conquest Heritage, or Les Elégantes de Longines). 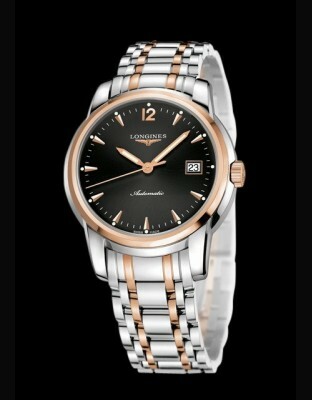 Its devotion to elegance is expressed in the Longines Dolce Vita, Longines BelleArti (contemporary elegance) or La Grande Classique de Longines (classic elegance) collections. 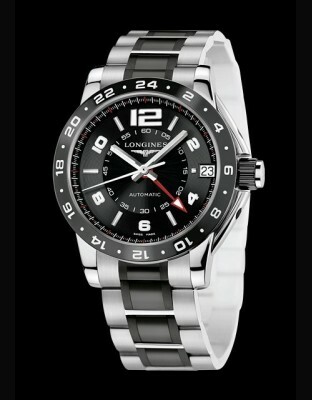 Finally, all of its sporting experience is invested in performance, with models such as the HydroConquest, Conquest, GrandVitesse and Longines Admiral. 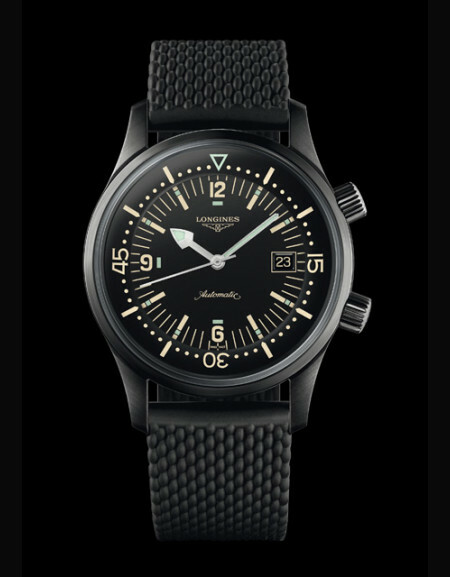 The Longines Sport Legends (The Longines Weems Second-Setting Watch, the Lindbergh Hour Angle Watch, the Longines Legend Diver and the Longines Istituto Idrografico R. Marina Watch) all pay tribute to the famous instruments that have been invented by the brand with the winged hourglass. 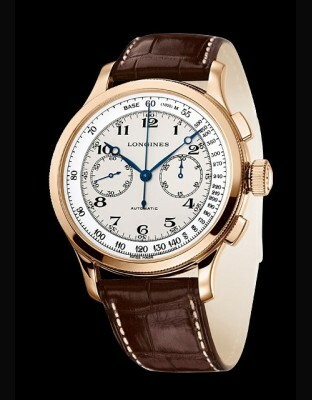 Longines is a member of the Swatch Group, the world's leading producer of watches and associated products. Its signature is timeless elegance based on a rich aesthetic heritage that it keeps up-to-date with a skilful blend of refinement and classicism. 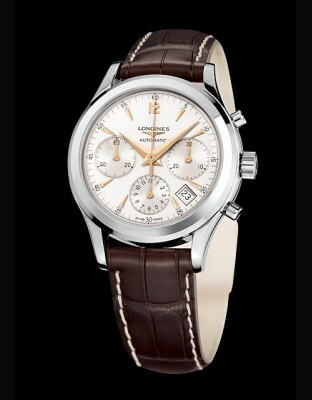 Its current models are inspired by a history of daring technology and bold styling nurtured within the Manufacture, a huge laboratory that carefully protects the profile of Longines creations. 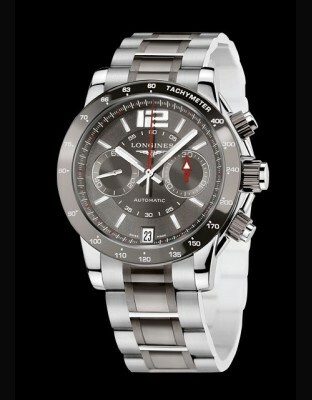 Longines is a brand that has always had worldwide ambitions. Today, the company is present in more than 130 countries and has preserved its essential, long-standing values. Elegance is the fundamental principle that still drives every aspect of its activities around the world.